Random risography printed postcards on Muncken paper framed within a Fabriano Paper Passepartout (16x16 cm). Includes download links for the full album and a Live Recording. The item comes folded into a sealed Polypropylene bag. 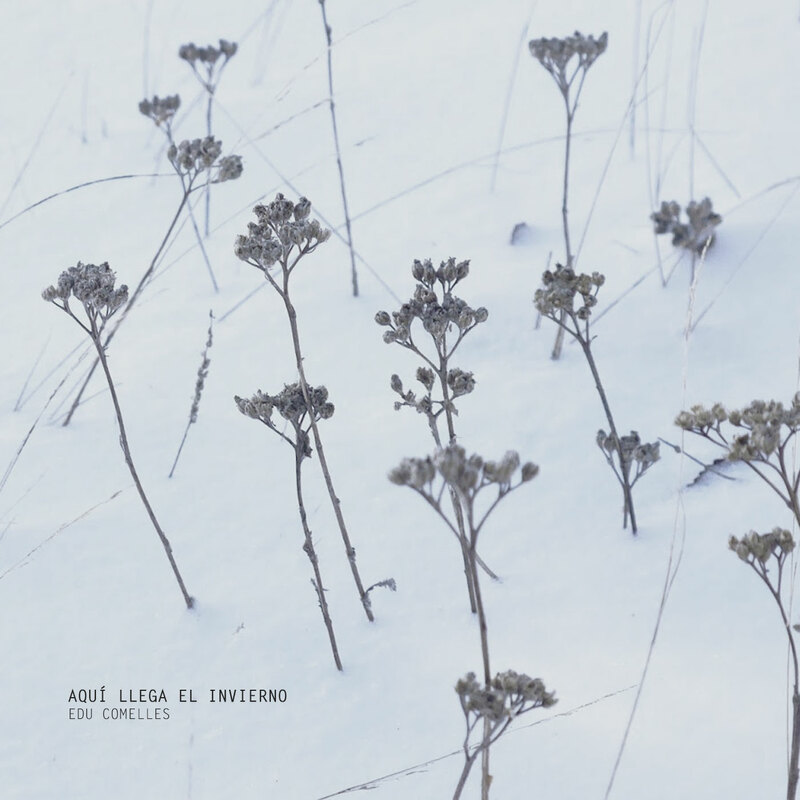 Includes unlimited streaming of Aquí Llega El Invierno via the free Bandcamp app, plus high-quality download in MP3, FLAC and more. The 11th of December 2017 snow covered Guadalaviar, a village in Central Spain right in the middle of the most unpopulated area of Southern Europe, the so called Spanish Siberia. After the snow storm 5 days followed and clouds give pass to wind, thaw, water and finally the sun. The cicle of cold, snow, ice and thaw has been something rather usual in Guadalaviar, but its starting to become an exeption. It still snows, and the cold is there, but not as before. Climate is fragile and unpredictable. In Guadalaviar there is a rural school that hosts only 5 children (town population is less than 150 habitants), and two more on its way. According to spanish law, to maintain the school open, there must be exactly that: at least 5 children and the prospect of more to come. The town depends entirely on those fice children, those who, unaware of their role on the hereafter, play in the snow. While and ecosystem is threatened by climate change, another ecosystem, the human one is theatened by rural depopulation. Both worlds share, space and time, and both walk the line of an uncertain future. This album is a homage to both. This albums draws attention on the 5 days following the snow storm of the 11th of December 2017, the landscapes and the small things that shape Guadalaviar and those living there, small things that for locals, sometimes can go unnoticed. "Aquí llega el invierno" (literaly translated as Here Comes The Winter) talks about all the aparently mundane things that on a blink of the eye can become something extraordinary. Its all about the school and those five children sustaining the towns life, the uncanny reverberation at the town sports pavilion, and the music of cowbells and cattle becoming instruments rather than tools. Its about silence, snow, ice, thaw, water and finally the sun on the heart of the most remote and forgotten region of Spain. Finally this work is a microcosmos of isolated elements on a god-forsaken land that fights to exist. The album is a claim to the landscape, the region and how its percieved, listened and felt. There are 100 CD copies of this work, most of then have been distributed among Guadalaviar neighbors. The rest of it can be acquired for free at the Town Hall and the local Museum.